CHAIN LINK FENCE OFFERS STRENGTH AND DURABILITY at an affordable price. Superior Fence & Rail is your chain link fence company of choice. Chain link fence is made of woven steel wire than forms a diamond pattern and is then either galvanized in zinc or coated in vinyl. Because of its economical nature, it is utilized for both residential and commercial applications. Because of the security it offers, it is favored by state and local governments. Superior Fence & Rail is one of the largest suppliers of chain link fence. We have a full inventory of these fences ideal for houses, outdoor basketball or tennis courts, playgrounds, farms, and other industrial businesses. Chain link is also commonly used as temporary or construction fence, so our chain link fences are available for rentals, as well. Moreover, we cater to the pool, commercial, or general contractors for wholesale or bulk orders of chain link fences. Our company is not only known for being a huge manufacturer of chain link fences in Florida. But, we also have the reputation for offering quality products and services. From production to installation, you can expect that we maintain a high-quality workmanship. We understand that chain link fences are meant to keep your property secured and protected from intruders. So, we make sure we only manufacture strong and durable chain link fences that could truly stand as an effective deterrent for thieves and trespassers. We take pride in providing our clients with efficient installation job at all times. Our team of professional installers has years of experience working with chain link fences. In addition, they are licensed and insured, so you can rest knowing that we can cover for any damages in case of unforeseen circumstances during the job. However, with the quality that our installers maintain, you can expect a properly and efficiently installed chain link fences. Our goal is to serve the whole state with quality fences. 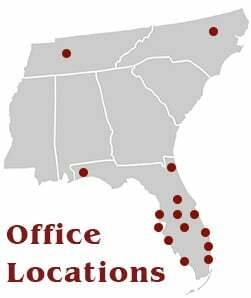 To fulfill that, we offer our products and services to many counties and cities in Florida. Whether you’re in South Florida, Tampa Bay Area, North Florida, or Orlando, we can help you with any of your fencing needs. Since the start of operations, Superior Fence & Rail has installed thousands of chain link jobs across the state of Florida. From 4 ft. tall chain link for a back yard to 12 ft. tall anti-climb chain link for a secured government facility, we can handle any chain link job you may have. Call us today to get an estimate on your next chain link fence!